One of the best parts about going to university is having the chance to rent college pads. Winona State University students, as well as those attending nearby schools, can get to know fellow tenants and form bonds inside these rental homes. The next couple of years will undoubtedly be some of the most memorable of your life. When you rent college pads in Winona, you open more doors for fun and excitement in your student life. With WsYOU/Bluff City Properties, you are guaranteed to find the one that suits you best. If you are going to rent college pads in Winona, will you be living on your own or with friends? When you rent college pads in Winona, you have an option to live alone or with housemates. If you want to rent college pads in Winona, we suggest that you search as early as possible so that you can find a unit that suits your desired living arrangement. How spacious is this rental home or apartment? Students who rent college pads in Winona are less likely to encounter cramped rooms, unlike those who live on campus. If you are determined to rent college pads in Winona to ensure roomier living quarters, then we can be of help. WsYOU/Bluff City Properties provides individuals who want to rent college pads in Winona with a variety of spacious housing options. Are there places where you can study in peace? Having areas where you can concentrate and focus on schoolwork is important when you rent college pads in Winona. Our company offers units optimal for studying. If you wish to rent college pads in Winona, don’t hesitate to get in touch with us. Is there an available laundry area? Students who rent college pads in Winona should make sure that they have access to a laundry area. If you plan to rent college pads in Winona, you must be certain that your chosen housing has this amenity or is near an establishment that offers laundry services. Will you have access to a kitchen? If you prefer cooking your own meals, then it is better for you to rent college pads. Winona students who live in dormitories have limited control over the food that is served. If you are going to rent college pads in Winona, make sure that you find one that has a kitchen or kitchenette. It is crucial for students who rent college pads in Winona to have internet access. In this digital era, you need to make sure that this amenity is available when you rent college pads in Winona. How secure is this off-campus housing option? It is advisable for you to compare apartment units if you plan to rent college pads in Winona. Check the building’s features as well as the security system offered by the owners. At WsYOU/Bluff City Properties, we prioritize the safety and security of our residents who rent college pads in Winona. Is the apartment worth your money? Deciding to rent college pads in Winona is a practical choice for students. Compared to living in pricier school dormitories, you can have access to more amenities when you rent college pads in Winona. You can get the most out of what you pay for when you rent college pads in Winona. Find your home away from home today! If you would like to rent college pads in Winona, then feel free to get in touch with our staff at WsYOU/Bluff City Properties. For tips on how to pick out furniture for your off-campus home read this: https://www.thespruce.com/how-to-finish-off-campus-apartment-1391210. 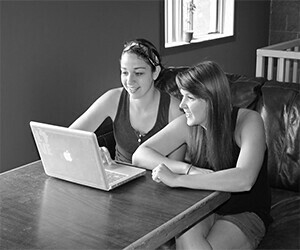 Off-campus living is an increasingly popular housing option for many students. This solution lets them cut costs and allot their funds to other college expenses, such as their tuition, school supplies, and books. However, living outside your college grounds does not automatically equal a great lodging experience. You will want to make sure you are renting a student apartment that is clean, well maintained, and functional. You can find that at WsYOU/Bluff City Properties. Click here for more information on Showings and Tours at WsYOU/Bluff City Properties.